Pizza Rita Gives Away THREE FREE Pizzas Every Week! Register here to be in on all Pizza Rita Promotions and Giveaways, IMMEDIATELY! 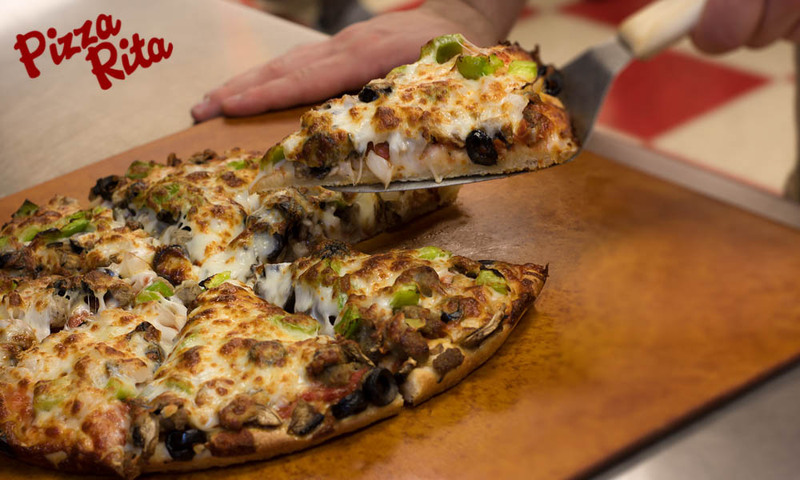 Register here for a FREE LARGE PIZZA with any ## of toppings! When you register for the FREE LARGE PIZZA you're automatically in every week's drawing and our e-mail club.